The land is predominantly classified as Grade 2 on the DEFRA Land Classification of England and Wales (Sheet 134). The land is predominantly laid to grass with dykes to three sides of the property, there is also an area set to fishing lakes. The barn has consent for agricultural use. The land is offered Freehold, with vacant possession upon completion. The land is offered subject to all existing rights, including rights of way whether private or public, light, support, drainage, water and electricity supplies, and other rights, easements quasi easements and all wayleaves, whether referred to or not in these particulars. Sporting rights insomuch as they are owned by the Landlord and capable of being granted are included in the sale. 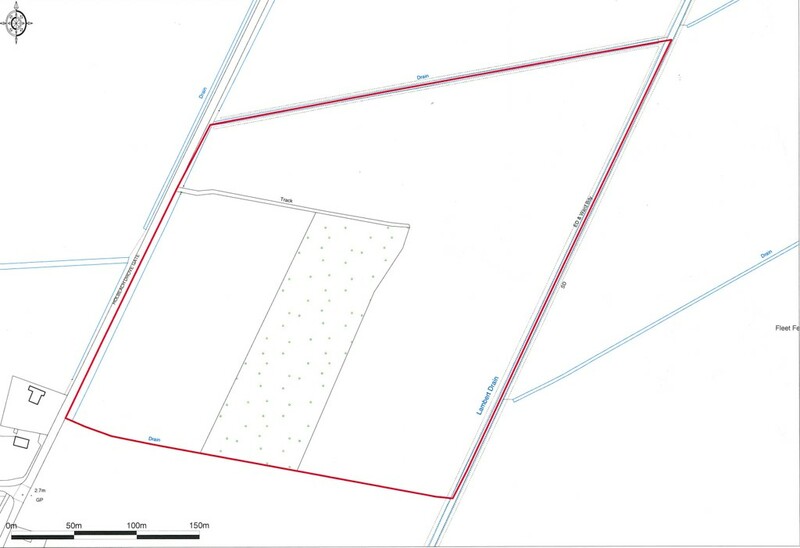 The land is shown on the plan attached to these particulars. This plan is for illustration purposes only. The purchaser will be deemed to have full knowledge of all boundaries. Mains water is understood to be connected. The land can be accessed off Holbeach Drove through a 5 bar metal gate. 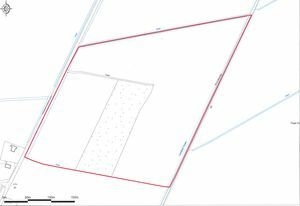 We are verbally advise that the land is not registered with the Rural Land Registry. These particulars have been prepared using the latest Ordnance Survey Plan. Planning was obtained for the formation of 2 lakes in 2004 ref: F/YR03/1010/F. The vendor has commenced works to enforce the planning.